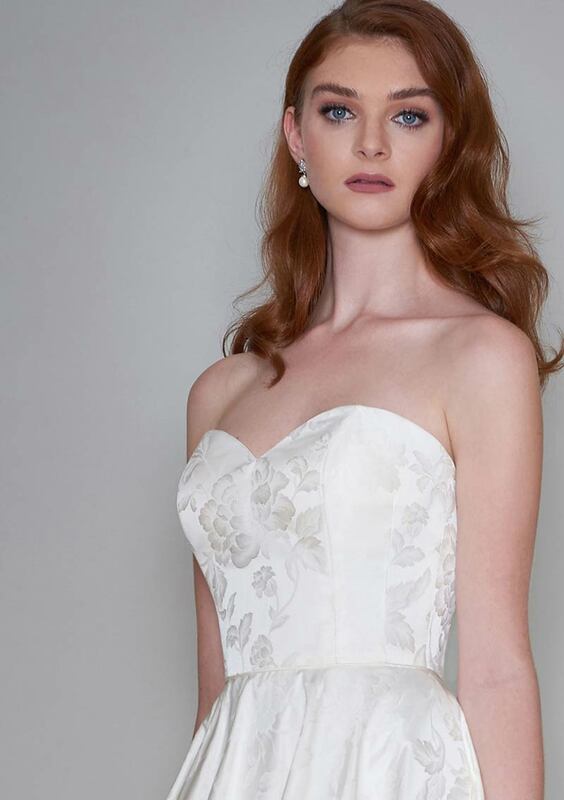 Colette is a full length strapless brocade dress with a stunning low back and train. 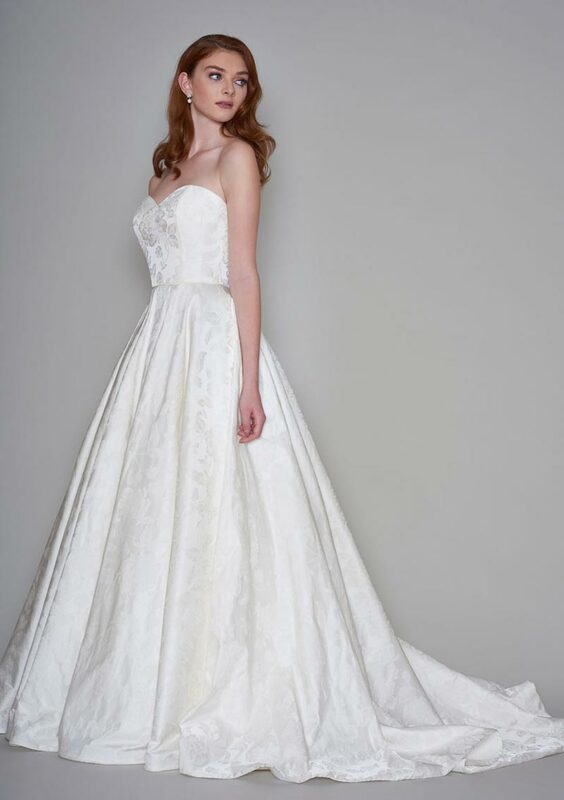 A simple strapless wedding gown in beautiful brocade fabric. This Lou Lou bridal gown has a dramatic low back finished with a wide flat bow. This simple a line wedding dress has a beautiful flowing train.